Having a disability doesn’t make you immune to the typical health care needs that everyone experiences, but sometimes it can make it more complicated to access the preventative care you need to stay as healthy as possible. In the second installment of the What You Need to Know series, we intend to tackle preventative care– specifically preventative care as it relates (or doesn’t) to disability-specific needs. If you grew up with a disability, you might have had a doctor– or even a team of doctors– who were very familiar with your primary condition and how it affected or didn’t affect, your health needs. However, when you reach adulthood, you may find that doctors are not as familiar with your disability. This can make even the simplest of doctors appointments feel overwhelming at first, especially if you aren’t used to having to explain the ins and outs of your disability to someone who may have minimal knowledge of how it impacts your life. So, here are some things to keep in mind. When doctors are unfamiliar with a specific disability or chronic health condition, they sometimes don’t know how to approach it. This means that you will encounter doctors who think that your disability will drastically alter any type of treatment you may receive, even for something totally unrelated, like a cold. And, you will also encounter doctors who will act like your disability or chronic health condition doesn’t exist at all. Neither one of these approaches is conducive to getting the care you need. So, when it comes to disability, you may have to take the lead a little bit. If you’re seeing a new doctor for the first time and they seemed stumped about how to interact with you, don’t be afraid to open up the conversation about how your disability affects you. Whether you’re going for a standard checkup, a common virus, or something a little more serious, remember that there’s no such thing as a universal body, regardless of disability status.Everyone’s body operates a little bit different. It’s important to know what’s normal for your body, and to be able to advocate for yourself with your doctor when you know something just doesn’t feel right–even if they seem to be getting caught up on disability and having a hard time seeing the big picture. We talked about the importance of doctor’s office accessibility in the first installment of this series, but this time we want to go even a little deeper. If you’re going to a doctor’s office for a preventive health screening, take the time to do your research upfront. Ask questions about accessibility. Not just the physical accessibility of the office building, or even accessibility features in the exam rooms, such as lifts and other equipment to help with transferring or getting on exam tables, but also about the accessibility of any standard preventive tests they may be planning to do during your visit. Keep in mind that while we often think of accessibility as physical things related to access, accessibility needs can include anything from quiet spaces to allergy-free rooms. It’s important to check out the accessibility of all aspects of your visit and make sure that the staff is familiar with accessibility needs in order to ensure that you get the care and treatment you need. 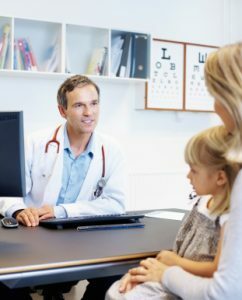 In an ideal world every doctor’s office would be fully accessible, but unfortunately, that’s not the case, so it’s better to prepare ahead of time then run into issues the day of your appointment. There’s nothing worse than going all the way to the doctor’s office only to find out you can’t get everything you need out of your appointment because your accessibility needs weren’t properly considered. If you talk to a doctor and realize that they are unable to meet your accessibility needs, don’t be afraid to look for another provider that fits your needs and lifestyle better. As people with disabilities, we experience major health disparities and inequalities In comparison to our nondisabled counterparts. This means that people with disabilities are less likely to get treatment when they need it, and more likely to experience serious negative outcomes from a variety of health conditions.. While there are a variety of reasons why such a disparity exists, one of them is because people with disabilities are underrepresented in health-related research. In fact, disability is often a disqualifying factor for many research studies. This is one of the things that makes patient-centered outcomes research (PCOR) so important and revolutionary for the disability community. PCOR focuses on research centered around what matters to individuals and their communities. It gives us the opportunity to shed light on problems and concerns that may be overlooked and ignored when trying to understand the health landscape for individuals with disabilities. It also allows us, as people with disabilities to have a pivotal role in shaping the narrative around what issues are most important when it comes to our health, health outcomes, and healthcare opportunities. To learn more about PCOR, and how you can get involved, check out UCP’s Speak For Yourself Initiative. Disability doesn’t change the fact that we need access to standard preventive health care measures, sometimes it just complicates the equation. We hope these tips have given you a little more insight about how to “speak for yourself” when it comes to your health and preventive care. Do you have additional advice, questions, or information around disability and preventive health care needs that you would like to share with the community? Let us know via Facebook, Twitter, or the My Life Without Limits forums.